Remarkable material even modern technology has been unable to match or surpass. A completely natural product, cork is harvested without damaging or chopping down a single tree, making it the ultimate environmentally friendly product. Cork is made of millions of cork cells - each cell functioning as a miniature sound and thermal insulator, as well as a miniature pressure and shock absorber. These unique qualities make it ideal for use in flooring, as it reduces sound, is warm to the touch and comfortable to walk on. 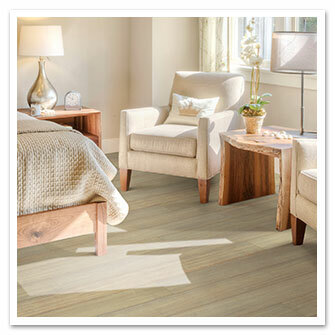 Not only is Bamboo eco-friendly, it is natures hardest and most durable floors. Bamboo is 27% harder than oak and 13% harder than maple. It offers a healthy alternative to those concerned about allergies and indoor air quality. This company has taken Cork and Bamboo styles to a new level. Fresh distinctive designs with a rich color pallet. select from traditional styles, wide plank and hand-scraped any of which will make bold a statement in any room of your home.